The Wellness MoonshotTM Calendar is the Global Wellness Institute’s call to action to create a culture of wellness within organizations and workplaces worldwide. 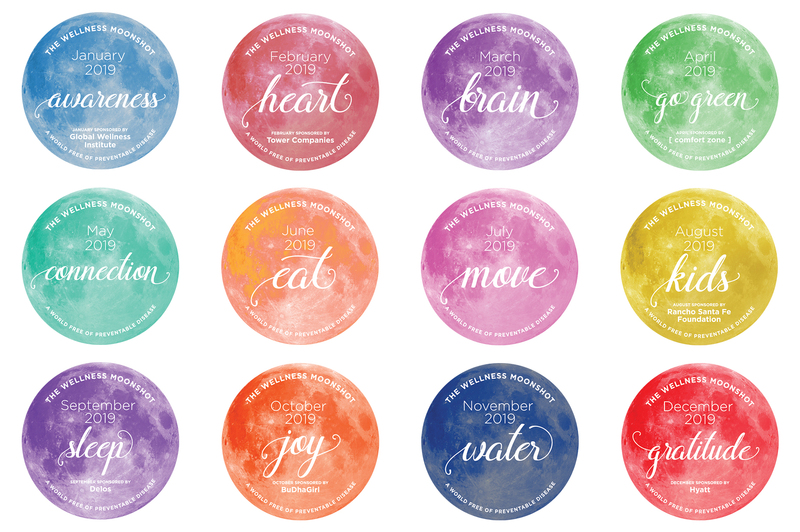 The beautiful hanging calendar, designed by Jessica Jesse, CEO of BuDhaGirl, is a reminder to encourage conversations, programs and actions that support The Wellness MoonshotTM: A World Free of Preventable Disease. This worldwide initiative was created to help eradicate preventable, chronic diseases by advocating for multilevel collaboration among the too often siloed forces working to build a healthier world. 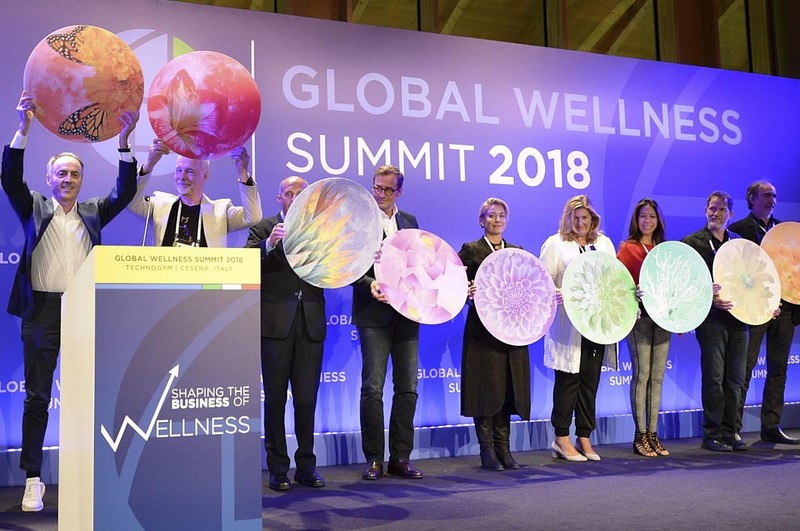 The calendar was announced at the 2018 Global Wellness Summit where delegates pledged their support of The Wellness MoonshotTM: A World Free of Preventable Disease. Read More. 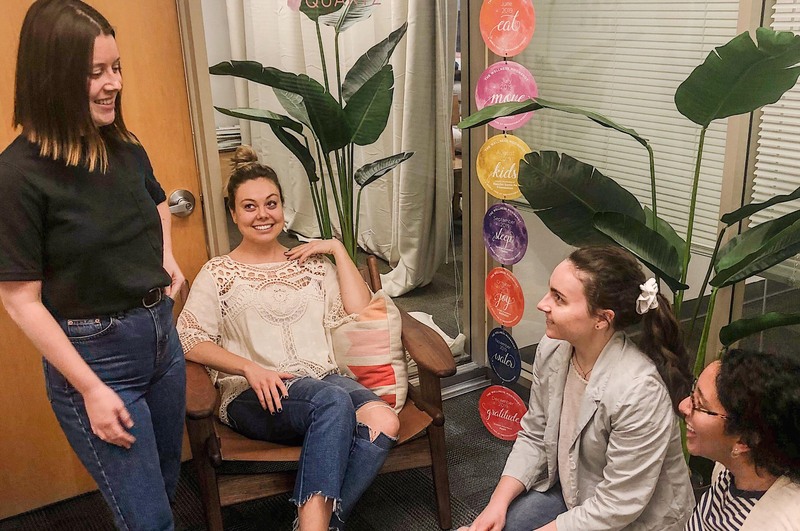 Each month organizations are sent ideas and information on how to engage and inspire their colleagues, employees and community around the month’s wellness theme. Take Action. Make the commitment to create a culture of wellness within your organization or community and receive the 2019 Wellness MoonshotTM Calendar. Make the Pledge. Dr. Richard Carmona, 17th surgeon general of the United States and chief of health innovation at Canyon Ranch, explains the importance of The Wellness MoonshotTM: A World Free of Preventable Disease at the 2018 Global Wellness Summit in Italy. The Tower Companies owns, develops and manages commercial, retail and multi-family residential properties in the DC metro area, while being mindful of our global impact. Our buildings are among the most sustainable in the world, blending sophisticated design, smart growth principles, unparalleled amenities and unrivaled service in a way that transforms expectations about real estate and improves the way people live, work, and play. For over 35 years Biologique Recherche’s unique methodology has built a strong reputation for astounding effectiveness based on a clinical approach to skincare, delivering immediate and long lasting results. 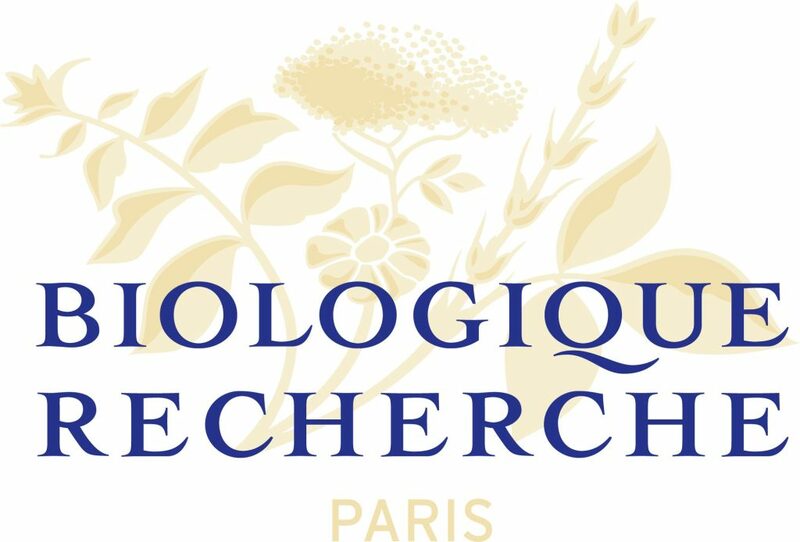 Biologique Recherche is the partner of choice in over 70 countries for exclusive medical spas and day spas in addition to the world’s premiere luxury hotel spas. [ comfort zone ] is a holistic science-based spa skin care brand created in 1996 by Dr. Davide Bollati, pharmacist, cosmetic chemist, and current Chairman of the Davines Group, which also features /skin regimen/, modern plant chemistry™ solutions for urbanites, and Davines, a professional hair care brand. All our products are designed and manufactured in Italy. They combine natural-origin ingredients and high-tech molecules for maximum performance and sustainability. Our selective, high-end international distribution is supported by solid educational and marketing programs. The strong commitment to rigorous standards of environmental and social sustainability has allowed the Group to become a B Corporation, and is embodied in the Davines Village in Parma, a virtuous example of sustainable architecture and production, including a scientific, open-air lab botanical garden. For over 30 years, the Rancho Santa Fe Foundation has been a San Diego community partner in philanthropy, offering individuals, families and organizations simple and effective ways to do the most good with their charitable giving. As a community foundation, they provide vision and leadership that strengthens regional philanthropy, and give impact grants to nonprofits that meet needs throughout San Diego County. The Rancho Santa Fe Foundation has grown to over $75 million in assets under management, while continuing to provide personalized service to our donors. The foundation specializes in helping people and organizations create charitable funds to support the causes, issues and nonprofits of their choice for inspired giving close to home and around the world. As the pioneer of Wellness Real Estate™, Delos is transforming our homes, offices, schools, and other indoor environments by placing health and wellness at the center of design and construction decisions. Delos helps create spaces that actively contribute to human health, performance and well-being by marrying the best innovations in technology, health, science, and real estate. The Delos platform includes programming, consulting, research, and an array of innovative products and technologies that research suggests may improve occupant well-being. 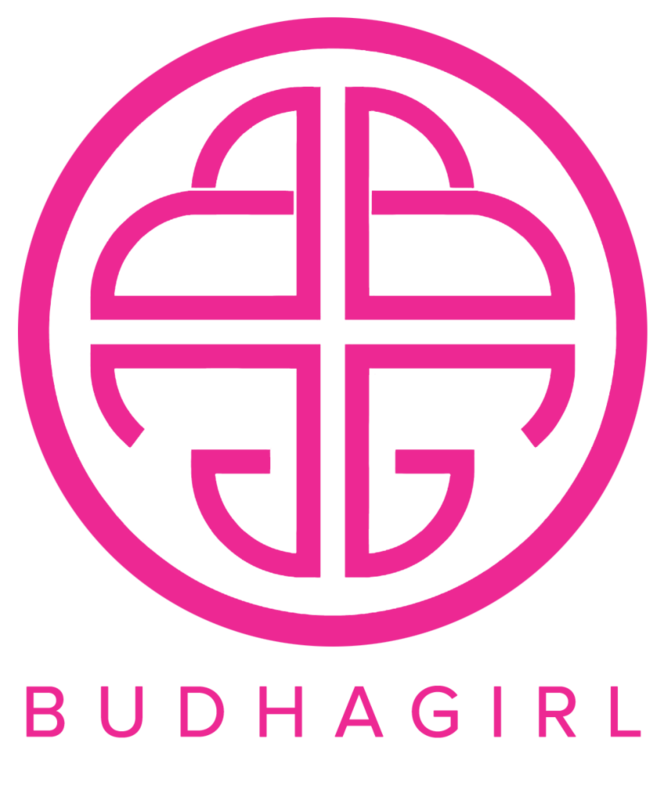 BuDhaGirl is the first lifestyle brand whose mission is to affect cultural change by turning everyday routines into rituals. Through Mindful Glamour®, BuDhaGirl merges contemplative practice and evidence-based science with fashion. BuDhaGirl approaches fashion with a holistic world-view, ensuring the life cycle of our products honor global traditions and art forms. BuDhaGirl invites each individual to set intentions and create rituals around the process of grooming and dressing each day. Hyatt Hotels Corporation is a leading global hospitality company with a portfolio of 14 premier brands and more than 700 properties. The company’s purpose-to care for people so they can be their best-informs its business strategy and efforts to attract top colleagues, build relationships with guests, and create value for shareholders. Its subsidiaries develop, own, operate, manage, franchise, license or provide services to hotels and resorts, branded residences, vacation ownership properties, and fitness and spa locations under the Park Hyatt®, Miraval®, Grand Hyatt®, Hyatt Regency®, Hyatt®, Andaz®, Hyatt Centric®, The Unbound Collection by Hyatt®, Hyatt Place®, Hyatt House®, Hyatt Ziva™, Hyatt Zilara™, Hyatt Residence Club® and exhale® brand names.